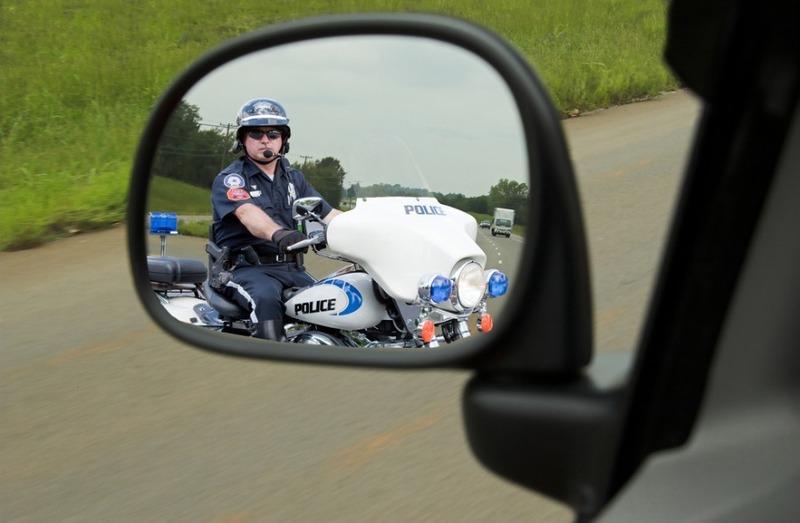 Colorado Criminal Law – When Police Violate Your Rights At A Traffic Stop – When the police stop your car based on a traffic violation – certain important constitutional rights apply. Understanding those rights may make the difference between a prosecution for JUST the traffic offense or a possible additional charge for a much more serious misdemeanor or perhaps even a felony. A common tactic used by law enforcement is for patrol officers to follow cars leaving bars or nightclubs. They will often follow these vehicles for miles and miles waiting for even the smallest error in driving. Even the best drivers cannot drive more than a few miles without making a mistake of some sort. Any error in driving or defective vehicle of any type will give the police officer a reason to stop the car on the basis that a traffic infraction has been committed. Examples may include, forgetting to immediately put on your headlights after sunset, failing to signal, a defective brake or tail light, a “Boston stop” at a stop sign, exceeding the speed limit, etc., etc. If that officer then “develops” reasonable suspicion of a DUI – while the stop may have been a “pretext” to their real objective – catching an alleged drunk driver – the stop is still legal and the DUI investigation legitimate. This article addresses the situation where a police officer does not discover any additional evidence of a crime and the traffic stop is ALL they have but they continue to investigate nonetheless. Let’s view a common hypothetical – the speeding case. While on routine patrol you are clocked driving 65 miles per hour in a 55 mile per hour zone. The Trooper pulls behind you and activates his emergency lights. You pull onto the shoulder of the road and stop your vehicle. The Trooper makes contact with you and you provide your driver’s license, registration and proof of insurance. You are then advised that you were stopped for speeding. While issuing you the speeding ticket the Trooper notices that you are “visibly nervous” when he hands you the ticket. Police always make you nervous. The officer then asks you if you have anything illegal on your person or in your vehicle and asks for consent to search your vehicle. You tell the Trooper “No – there is nothing on me or in my vehicle” – but it is BECAUSE you are nervous that you consent to a search of both your vehicle and your person. You empty your pockets. You just was paid for your job and you have a great deal of cash on you and from the console of your car the Trooper finds a baggy containing a white powdery substance that tests positive for cocaine. You are then placed under arrest and transported to the County jail. You Are Charged With Felony Possession Of A Controlled Substance – Now What? Was there a violation of your constitutional rights? If there was, could this lead to the suppression of the evidence in the case and a dismissal of the felony drug charge? In this scenario, when the Trooper detained you longer than necessary AFTER issuing the speeding citation, they may have violated your constitutional rights under the Fourth Amendment. This is the rule – a constitutional right – that states “continued detention” not reasonably related to the purpose of the initial stop and not based on articulable facts of criminal activity – is unconstitutional. The law is clear. The stopping of a vehicle and the detention of its occupants is clearly a seizure within the meaning of the Fourth Amendment. The Fourth Amendment provides that the “right of the people to be secure in their persons, houses, papers, and effects, against unreasonable searches and seizures, shall not be violated…” U.S. Const. amend. IV. While the Fourth Amendment does not forbid ALL searches and seizures, it prohibits unreasonable searches and seizures such as an extended unreasonably long “investigative detention” of a vehicle on the road stopped for speeding. That kind of investigative detention must be temporary and last no longer than is necessary to effectuate the purpose of the stop. Prong Two – whether it was reasonably related in scope to the circumstances which justified the interference in the first place. Colorado Courts require reasonable suspicion that a crime has occurred, is occurring or will occur, before a seizure of the person or property is considered constitutional. To determine the reasonableness of the detention, A Colorado Trial Court applies the standards in a very old and very important United States Supreme Court Case, Terry v. Ohio. The second prong of Terry limits the scope of the investigative detention to exigencies which justify its initiation and additional and unnecessary questioning unrelated to the justification for the stop that extends the duration of the stop violates the Fourth Amendment. Again, a Fourth Amendment violation occurs when the detention extends beyond the valid reason for the stop. Remember, the purpose of a stop is effectuated when the police determine that a motorist is not intoxicated. Once that is obvious, continued detention not based upon articulable facts,means there is no basis for the continued detention, and any additional incriminating evidence must be suppressed. Suppose a car is stopped for suspicion of driving while intoxicated. Under Colorado law the stop could last no longer than was necessary to determine whether or not the appellant was intoxicated. If a police officers’ suspicion is dispelled when the appellant explained that he was tired, not intoxicated, and when the police do not find any other evidence of intoxication such as the odor of alcohol or other intoxicant, red, blood shot watery eyes, slurred speech, slow movements etc. – then the purpose of the investigative detention for DUI has been effectuated and the citizen given their freedom. The existence of additional evidence cannot be based on a “hunch.” This standard is an objective – not a subjective standard. There must exist known facts and / or rational inferences from those facts, that will support the conclusion that the driver was engaged in or soon would be engaged in criminal activity. In the event of a prolonged detention that follows a DUI traffic stop followed by a warrantless search of a person – this is an unreasonable search under the Fourth Amendment. Once the ticket has been issued and or an oral warning for a traffic violation has been given and there is no information that the driver has outstanding warrants, the justification for the stop ended and under the fruit of the poisonous tree doctrine, all evidence discovered after this point must be suppressed. Applying the Terry Stop analysis to the detention of a vehicle for speeding in our hypothetical establishes that the search and seizure was unreasonable in this case because it extended beyond the initial valid and legal reason for the stop. At the point that the police asked for consent to search the car AFTER they had written the speeding ticket (and therefore the reason for the stop had been satisfied, completely effectuated), the Defendant should have been allowed to go on his way. The traffic stop became a forbidden “fishing expedition” for unrelated criminal activity because there was no reasonable or articulable suspicion existed which would justify continued detention of the Defendant. Acing somewhat nervous with a police officer is not indicative of guilt. In our scenario, there was no objective evidence of a new crime – there existed no known fact or reasonable inference drawn from these facts could lead to a conclusion that the Defendant was caring contraband.once the speeding citation was issued the Defendant should have been free to leave. The detention of the “speeder” in our hypothetical violated his Fourth Amendment rights because the detention was not reasonably related to the initial purpose of the stop and there was no reasonable or articulable suspicion that would justify further detention after the troopers issued the speeding citation. Therefore, under the fruit of the poisonous tree doctrine, the evidence seized must be suppressed because it was obtained as a result of the Troopers clear violation of the Defendant’s rights under the Fourth Amendment. What About The “Consent To Search” Person And Vehicle? The State of Colorado – through their District Attorney – will no doubt argue that the Defendant’s consent to search “dissipated the taint” of the Fourth Amendment violation. This argument is made where the State loses the Fourth Amendment violation and now argues that the Defendant’s decision to consent to the search – makes the search and seizure of the evidence – constitutional. The state must prove by the preponderance of the evidence that the consent was free and voluntary. (2) whether it was an independent act of free will. Voluntariness focuses on coercion and the second prong considers the causal connection between “consent” and the prior constitutional violation. (3) the purpose and flagrancy of the initial misconduct. Here, even if the Defendant’s consent is found to have been voluntarily given, your Colorado criminal defense lawyer will argue that the consent is invalid because the “causal chain” between the illegal detention and the consent was not broken. Specifically that there was such a close temporal proximity between the illegal conduct and the consent to search – with no intervening circumstances between the detention and the consent – that there was no reason to think that the Defendant could have believed he was free to leave. The reason a Trooper asks for consent to search a car is irrelevant. The illegal detention of the Defendant after issuing the speeding citation in the absence of articulable facts to establish probable cause to conclude the Defendant might possess contraband, means that continued detention was illegal rendering the consent to search invalid. You should be careful to make a responsible choice in selecting a Colorado Criminal Defense Lawyer – and we encourage you to “vet” our firm. Over the last 30 plus years – by focusing ONLY on Colorado criminal law – H. Michael has had the necessary time to commit to the task of constantly updating himself on nearly every area of criminal law, to include Colorado criminal law and procedure and trial and courtroom practice. H. Michael works hard to get his clients the best possible results in and out of the courtroom. He has written, and continues to write, extensively on Colorado criminal law and he hopes this article helps you in some small way – Colorado Criminal Law – When Police Violate Your Rights At A Traffic Stop. When the police stop your car based on a traffic violation - certain important constitutional rights apply. Understanding those rights may make the difference between a prosecution for JUST the traffic offense or a possible additional charge for a much more serious misdemeanor or perhaps even a felony.